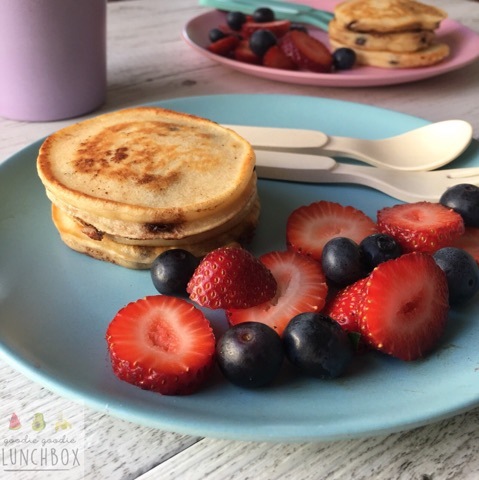 I have been busy in the kitchen developing this delicious pancakes recipe for you all – Peanut Butter Chocolate Chip Pancakes inspired by a delicious ice cream Mr 6 enjoyed on an outing to the shops. We almost made it through the school year with just the one pair of school shoes for Mr 5. But two weeks into term 4 it was clear that it just was not going to happen. So off to the shops for us, which pre-kids I quite enjoyed. Post kids, it’s torturous. Especially when you have to take them. And you actually have something that you need to buy. We had a bit of a list to get through so I decided I needed to offer a bribe treat of ice cream once we finished our list to keep Mr 5 on track. And it worked, all jobs done. We chose to share a peanut butter chocolate chip flavour that had this dreamy looking caramel drizzled on top. It was sahhhh amazing. I wanted more. Fast forward to Tuesday, a dreary rainy day. A dreary rainy day that was the 5th or maybe 6th rainy day in a row. I thought we could do with a treat, and I thought back to the harmony of chocolate and peanut butter flavour and how they would be perfect in a pancake recipe. I have written before about how much I love pancakes in my post for my Apple and Blueberry Pancakes. 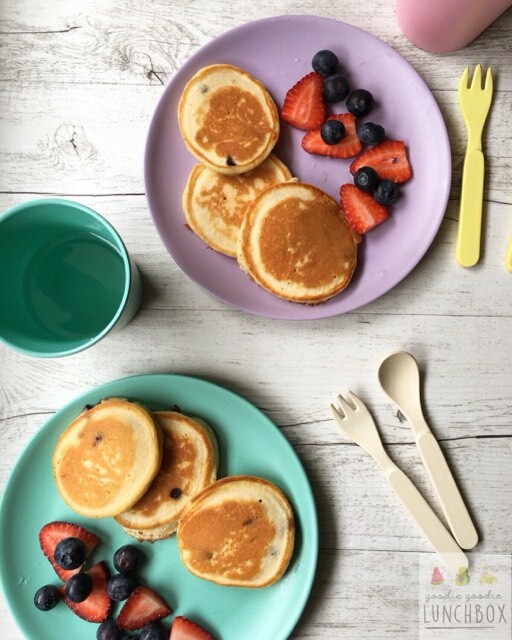 Breakfast, lunch or snacks, pancakes are a great option and my kids adore them. They are so quick too. And these Peanut Butter Chocolate Chip Pancakes are not an exception. I love the subtle flavour of peanut butter with a hint of sweetness from the maple syrup, and the chocolate chips make this a fun treat for the kids. Though Mr 5 at first refused to touch them as he thought they were blueberries ¯_(ツ)_/¯. But after he discovered that they were actually chocolate chips (and I wasn’t poisoning him with blueberries) there was no holding back. Lightly oil a pan over a medium-low heat and when heated, add spoonfuls of the mixture to the pan. When bubbles begin to form, flip the pancakes carefully and cook through. Serve with fruit or enjoy them on their own. So there you have it! Deliciousness in less than 20 minutes! These Peanut Butter Chocolate Chip Pancakes are so light and fluffy and I have made this recipe so many times since developing it. I love these and seriously cannot get enough. One note, you really need a quality peanut butter, preferably natural with no added sugar, salt or oil. I use a smooth peanut butter but you could use crunchy too. As the mix contains nuts they are not really suitable for school lunches (depending on your school’s policy) but these Peanut Butter Chocolate Chip Pancakes have made it into my lunchbox and I love making these for morning or afternoon teas to cheer up our week. 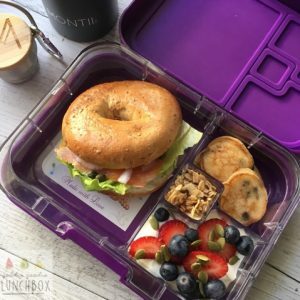 I hope you enjoy making these with your kiddos and especially I hope that you enjoy eating these! If you do make them, take a picture and post it to my Facebook wall or tag me on Instagram – it makes me so happy to see my recipes being enjoyed!